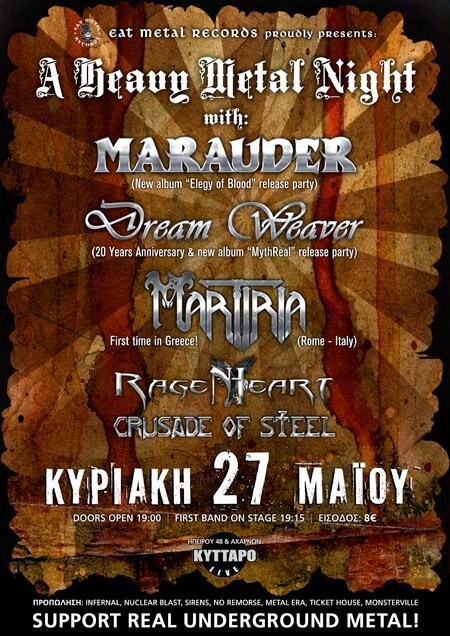 MARAUDER & DREAM WEAVER will present their new records at the concert, that will be out on the day of the gig! For the first time in Greece, we’ll get the chance to see MARTIRIA, from Italy! RAGENHEART & CRUSADE OF STEEL are part of the bill as well! It’s a great opportunity to see 5 awesome bands! Don’t miss that gig!